I visited Uluru several years ago and stayed for 4 days. I walked around and found it very enjoyable to see the different plants and views of Uluru from the different sides. 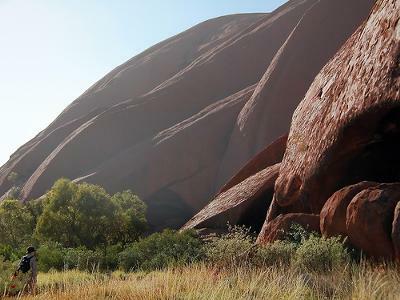 I also thoroughly enjoyed going on 2 different tours with the Anangu people. What about the plants at the top? You missed seeing the plants at the top of the rock and the shrimp that are only found at the top. Not to mention the stunning rock features. Look at my thread, Uluru Summit is Fantastic, to see what you missed.